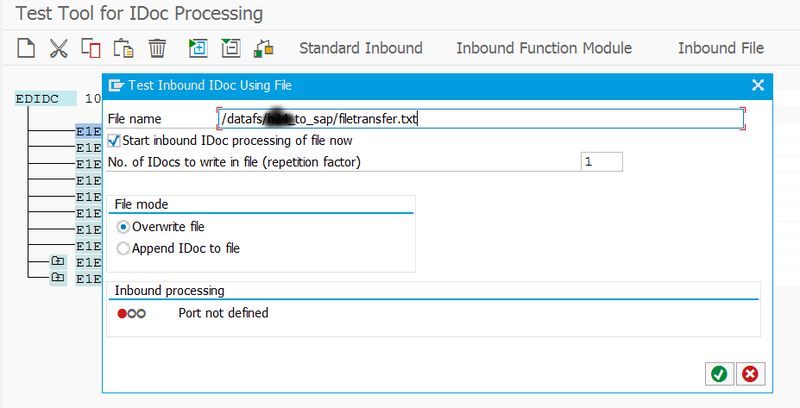 I have recently come across the need to “manually” move an IDoc for testing purposes form one SAP system to another. The two systems were in two different environments and not planned to be connected network wise. So we needed a way to export and import an IDoc. The idea was to export the IDoc on system A to a file and then import it in system B from that file. It seemed an easy task, but turned out to be quite tricky. I haven’t found much help from searching online or in SAP docs but enough to put something together that worked at the end. I’d like to share this here in a step-by-step guide. Please note that this is only for manual testing purposes for single cases and not intended to serve as any kind of IDoc interface. Load an existing Idoc (see we02) via idoc number. Enter a path on the server (use transaction AL11 to find a suitable path) and a filename. The file name can be chosen freely. Execute the function and ignore the error about the not found port! Download the exported file to your local machine using Transaction Code: CG3Y (or FM ARCHIVFILE_SERVER_TO_CLIENT as per a reader’s comment). Target is a patch on your local machine. Choose ASC for ASCII mode. You can now edit the file on your PC if needed, or further process/distribute it. Or you can now upload it e.g. to another SAP system and edit it there before processing (see next chapter). Upload the file using transaction code CG3Z (or FM ARCHIVFILE_CLIENT_TO_SERVER as per a reader’s comment) e.g. to a temp directory. Use t.code WE19 and select “File as Template”. Enter the path where you’ve uploaded the file and the filename. The test tool displays your IDoc, you can also change it here. When you’re ready, click “Standard Inbound”. If a partner profile (WE20) exists, it will be processed after executing the function (or collected for later processing). See the status of the new IDoc in WE02. Thank for posting the FM names! 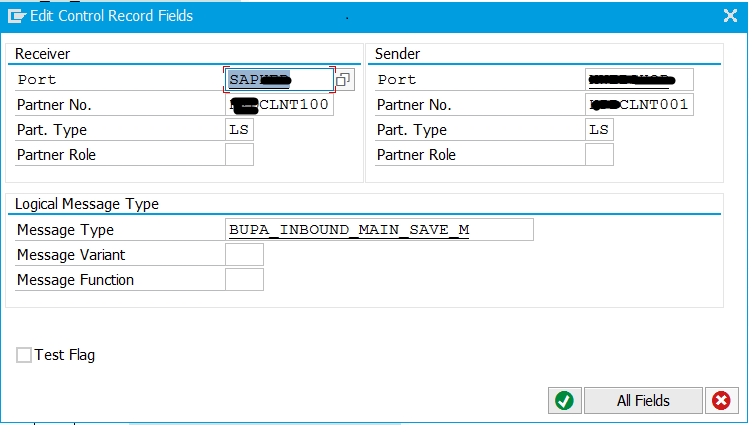 I was working on a S4/HANA system that was relatively newly installed but customized to some extend already, and the transactions were present. Nice! Anything that can get me from a production system to my development one is a great post! IDOCs always are a bit of a challenge with the deep structures. Exactly! Glad it’s helpful for others too.